With a 6ft wingspan, pristine white plumage, black wingtips, yellow saturation to the head and an impressive dagger-shaped bill, the Northern Gannets is not only Europe’s largest but also one of it’s most attractive breeding seabirds. Nesting in colonies numbering into the 10 000’s and occupying some of the continent’s most remote and dramatic sea cliffs and reaching diving speeds of over 60mph on entering the sea in search of their prey, the northern gannet is an iconic species which offers exciting opportunities for nature photography. 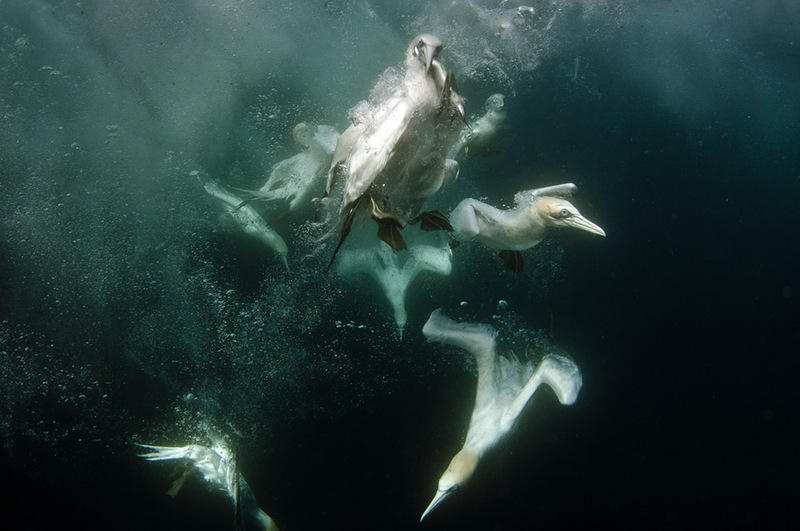 Very few images have been made of gannets diving underwater within the UK. Over the last five years by studying the gannet’s behaviour, and understanding the movement of the fish they feed on, I have been able to successfully predict the best times to photograph gannets underwater. This is a unique opportunity with no one else offering the chance to capture the dramatic diving behaviour of gannets. 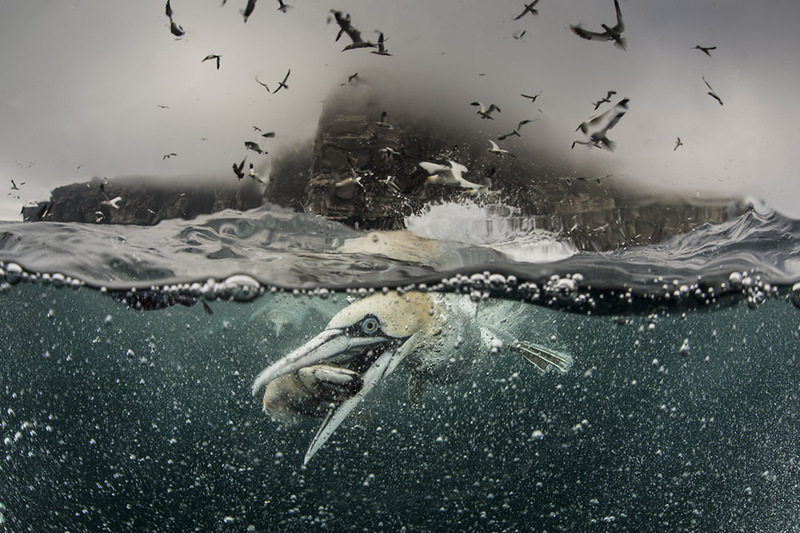 Shetland is one of the best places in the UK to photograph gannets underwater because of the beautiful clear oceanic seas that surround the islands. Furthermore, not all places gannets will dive around a boat but here on Shetland they have got used to my RIB and several thousands gannets can be circling and diving round the boat at any one time. 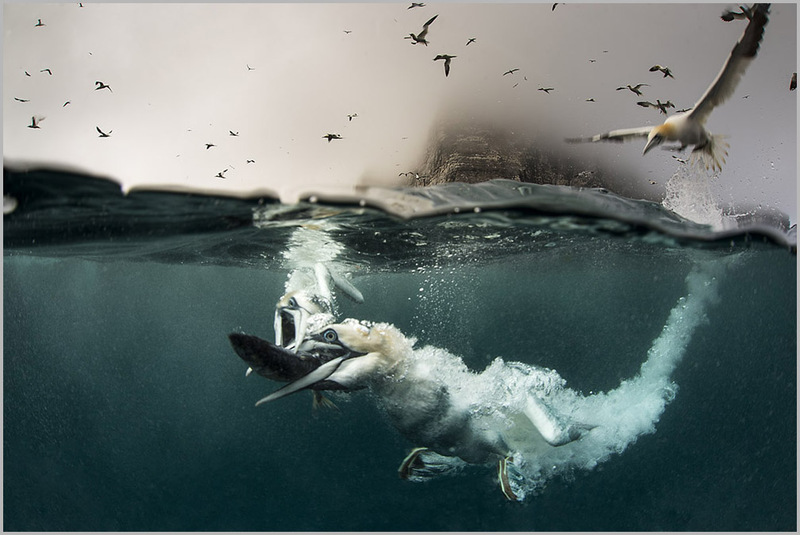 The underwater gannet photography is undertaken at sea around some of the Shetland’s remotest headlands. It is undertaken from a boat, a RIB, which provides a stable platform to photograph from. 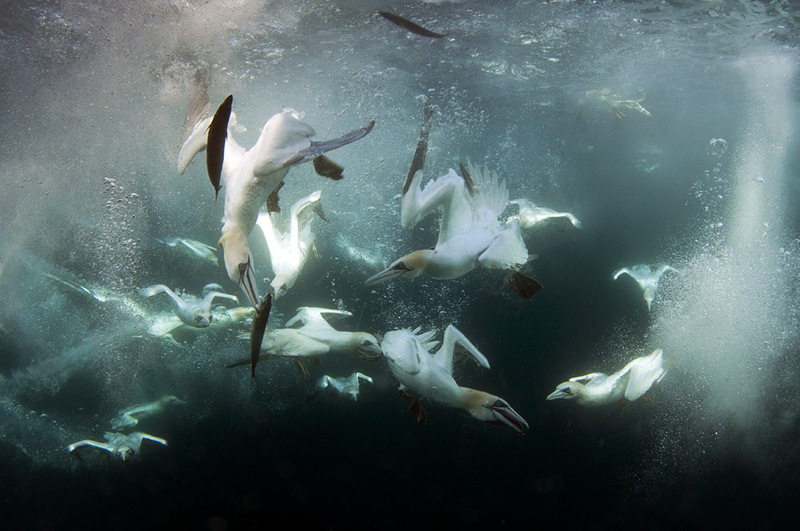 1-6 to photograph gannets underwater. Group size is limited due to the available space on the boat to make sure everyone has a great experience and makes great images. 4 to 6 hours out on sea. To photograph gannets underwater is run between April to the end of September. Please email Richard at info@shetlandphototours.co.uk for more information. One day underwater gannet photography for 1 person £600, for 2 persons £700 and additional people after that is £250 per person. 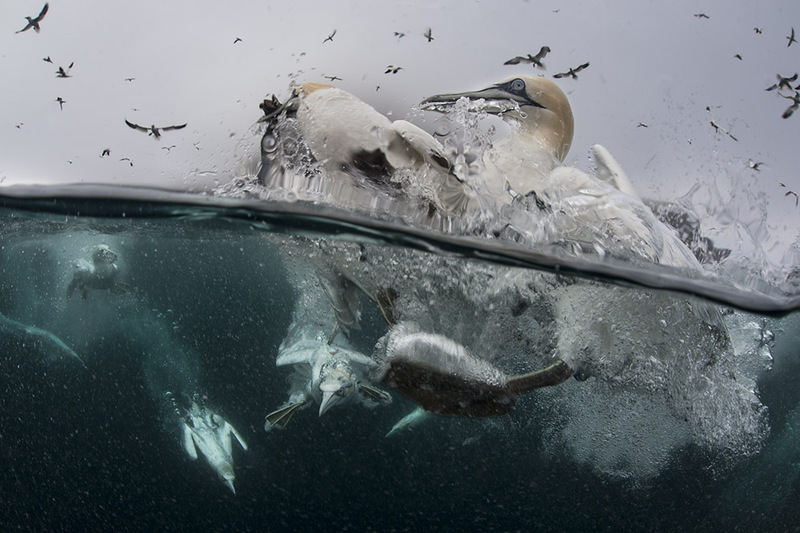 Richard Shucksmith is offering a unique personal experience to photograph gannets underwater, one to one or as part of a small group. I am the skipper, guide, ecologist, diver and underwater photographer who has spent many hours working with gannets. Warm clothes, hat, gloves waterproof coat and trousers, sturdy footwear. Lifejackets are provided but the boat is open so camera bags need to be protected in a waterproof covering. The price does not include food or hot drinks, so please bring your own. Obviously to take images of gannets underwater you need to be able to put your camera underwater. If you have an underwater housing for your camera then please bring it. There is no need to dive or snorkel, I have developed a method to take the images from the boat. However for those with diving experience it is also possible to photograph from under the water, however you have to have all your own diving kit. 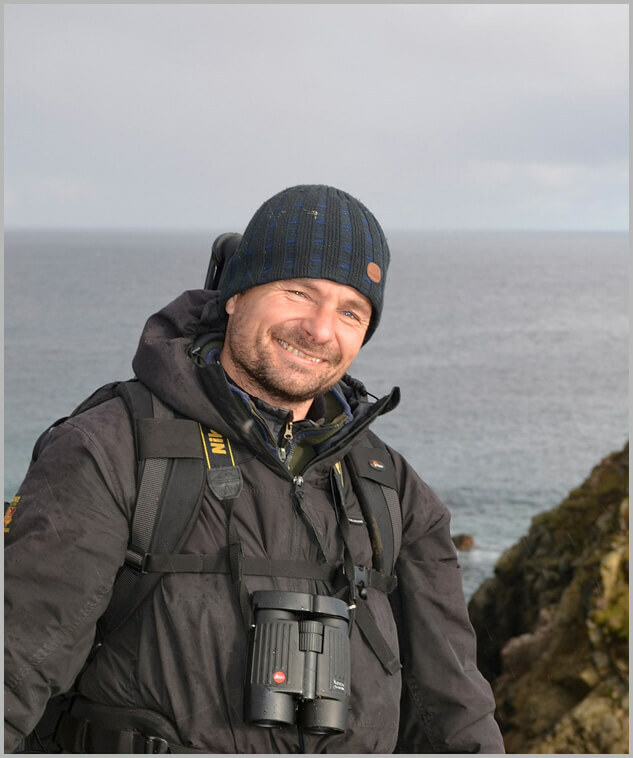 I can also build bespoke packages that can covers underwater gannets, otters and other species, for instance, gannets, otter and puffins, gannets, seabirds and otter, gannets, otter and seascapes, and the photography work can be undertaken on several of Shetland’s islands. If needed I can assist in arranging accommodation as well as your travel arrangements as part of a bespoke package.